In a landscape as awesome as Cape York, it’s easy to become mesmerised. But looking beneath the surface reveals a world even richer than expected. Cape York sits high on the bucket list of every camper trailer owner. It’s a monumental journey we see as just as Australian as stopping for a few minutes on Anzac Day to remember the fallen diggers. For those lucky enough to have done it once, it often becomes part of a regular ritual. The Cape, as it is generally known, is the largest unspoiled wilderness in northern Australia. It is a region of great diversity: climatically, geographically, biologically and economically. James Cook, the famed British explorer heading the Endeavour, landed in Australia in 1770 at what is now known as Botany Bay. From there, he and his crew ventured north up the eastern coast as part of their course back home. They sighted Cape York, and Cook named it after the Duke of York and Albany, initially phrasing it ‘York Cape’. The Duke, Prince Edward, had died three years prior in Monaco, en route to see his mistress in Genoa. James Cook wasn’t the first to discover the peninsula. Dutch explorer Willem Janszoon and his ship the Duyfken had landed on the western side in 1606. And of course, before this, indigenous Australians had lived there for tens of thousands of years, with over forty tribal nations inhabiting the land at the time of European invasion. Following this, the indigenous communities of Cape York faced displacement and discrimination at the hands of settlers, with the establishment of a mission system on the Cape – one which sabotaged freedom, forced cultural assimilation and separated many children from their parents. Changes, apologies and compensations will never erase this dark era. 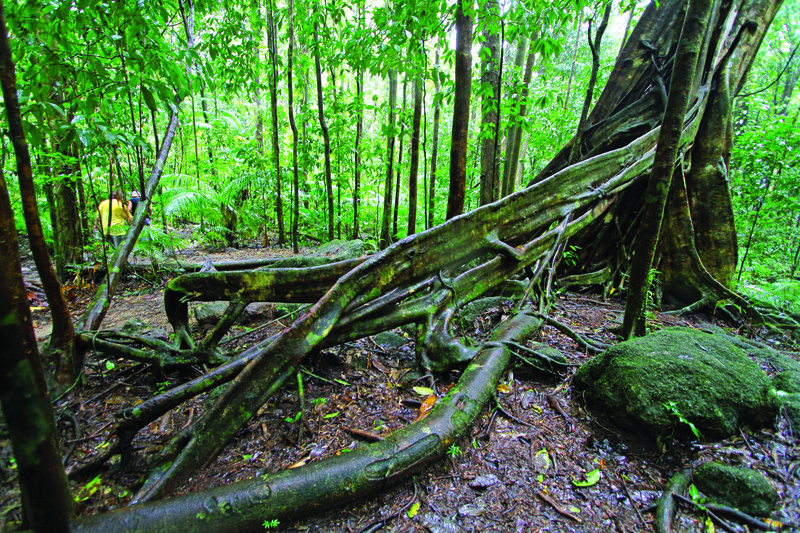 Cape York experiences distinct climatic types, which dictate the make-up of the land, the animals and the plants. 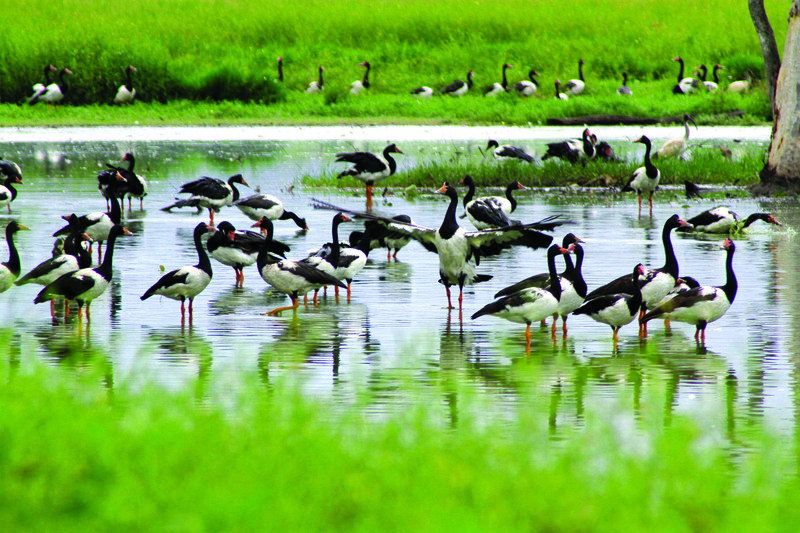 Some of the land experiences an annual rainfall between 1200 and 4000mm, predominantly during the monsoons spanning December to March. In slightly more moderate regions, rainfall ranges from 600 to 1600mm, with a majority of this rainfall coming between November and April. The drier areas experience much less rainfall, and when it does rain it’s patchy and inconsistent, with sometimes no rain falling for a bulk of the year. Sometimes it feels like you have to be Ian Thorpe to move through the air in Cape York; the humidity remains high throughout the year, but particularly in the wet season when it hovers about 80 per cent. Even in the dry season, the humidity rarely drops below 40 per cent anywhere on the Cape. 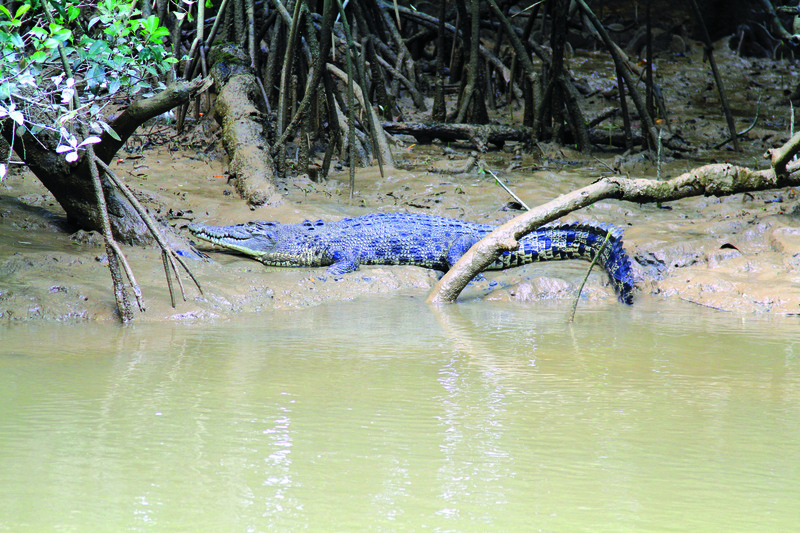 It’s a shame that crocodiles make it perilous to swim in most locations, because temperatures often call for a dip. In the East, the mercury lingers around the early 30s in the wet, and offers little respite in the dry at around 27°C. You have to feel a little sorry for the Dutchman Janszoon who, in his frilled collar, fronted the Western coast – with its average temperatures between 35 to 38 °C in the wet and 30 to 32 °C in the dry – despite being accustomed to summers of 19°C in the Netherlands. Some relief can be found on the higher ranges of the Cape, where temps can drop down to 10°C in winter. During October, the muggy heat begins to assert itself. By November, the cosmic outrage builds and electrical storms arrive. They’re both thrilling and confronting to the uninitiated – picture lightning dispelling the darkness, illuminating the rainforest in brief moments of shining detail, and the rumble of thunder putting the construction of your camper trailer to the test. Then, between December and February, the monsoon trough (an atmospheric zone of low-pressure) migrates across the Cape. The monsoon trough is no regular tourist. How it gets its luggage of immense rainfall and extreme winds through customs is anybody’s guess. Tropical cyclones can also challenge the landscape at this time, resulting in severe localised flooding. They affect some areas more than others, such as the lower south-western side and the lower south-eastern side of the peninsula. These extremes of weather are matched to poor soils, which stand out even in a continent famous for its poor soils. The soils are so poor that even with fertilisers it will not respond to commercial cropping and thus settlements are few and far between. Fires are in fact an integrally important part of the natural processes to provide phosphorus and nitrogen. Cape York peninsula is largely flat – something of a pancake in fact. It peaks at 800m in the McIlwraith Range, a sorry apex, but one which we can forgive given the other awe-inspiring features of the landscape. In geological terms, it’s one of the most stable landscapes on earth, lying undisturbed by volcanic or tectonic forces for many millions of years. 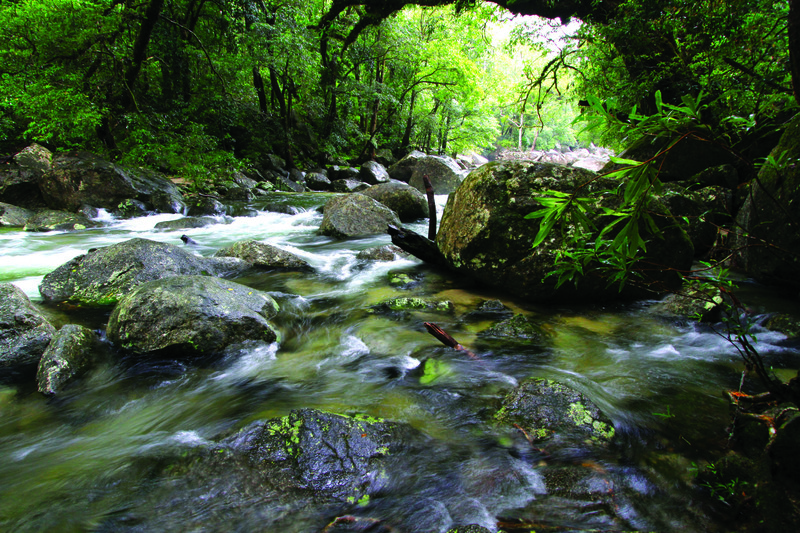 As you may anticipate with its level of rainfall, Cape York has a large number of rivers. During the dry, these contract to mere creeks or strings of waterholes, but in the wet they become roaring torrents that spread out over vast floodplains. The Cape accounts for around 25 per cent of Australia’s run-off, which is hugely disproportionate to the land mass it comprises. 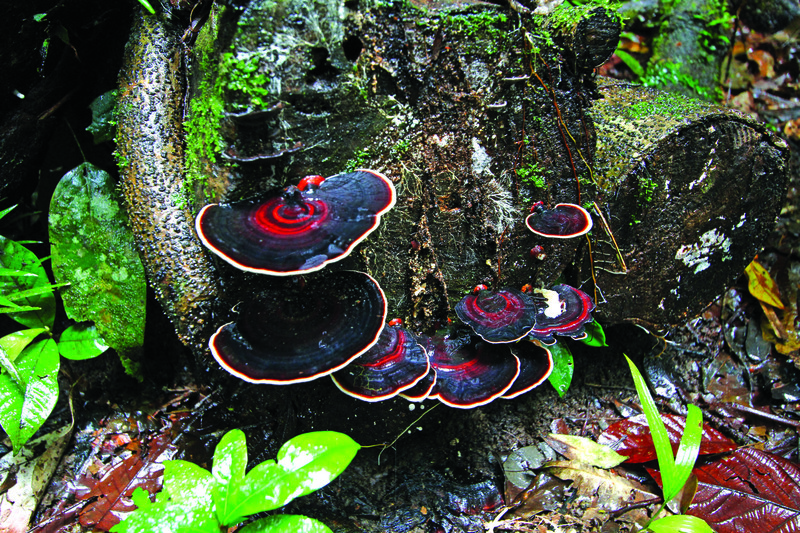 The rain also means that the many thousands of plant species on the Cape can eagerly lap up their sustenance and survive; however, the area is dry (yes, dry) compared to New Guinea, which prevents plants from migrating across the ocean to the Cape and expanding the biodiversity even further.